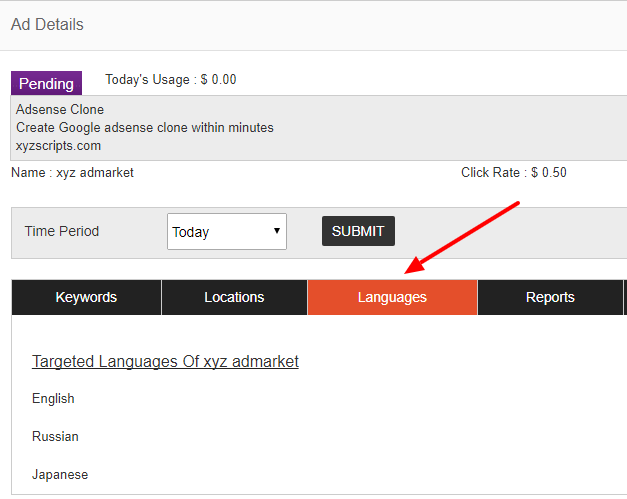 Upload the Browser Language Targeting addon to the “addons” folder in XYZ Admarket script. In the “Manage Addons” page please activate the Browser Language Targeting Addon. That’s it. The addon is now ready to use. In the “Manage Targeting” section, advertiser can see the “Language” tab. In this section advertiser can select the browser languages where the ad is displaying. In the admin area, admin can see the language of the ad in the ad details page.